Have you seen this absolutely adorable bunny on Pinterest or Twitter or Facebook recent? Well, I hate to burst your bubble, but it’s completely fake. It’s a 100 per cent bunny bluff. The bunny appears to have been made by a Chinese crafter on Weibo called Soft Mochi. 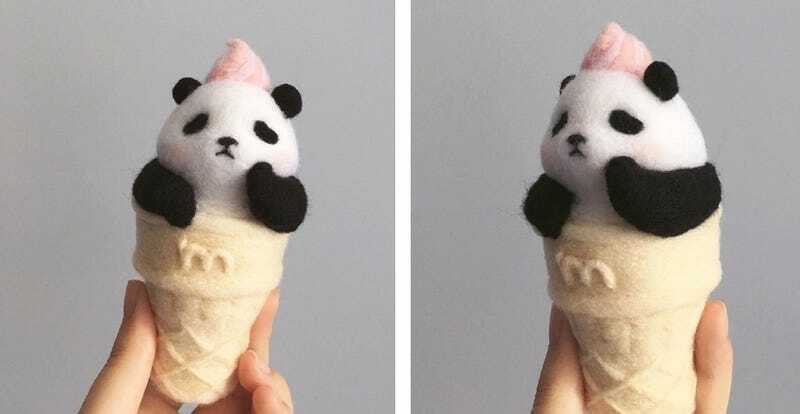 The Weibo user has plenty of other adorable felt-based crafting projects posted. Due to some language translation issues I’m not even completely sure that Soft Mochi is the one who originally created these cute figures. But given the similarity of the hand in every shot, it’s safe to say at the very least that the bunny is fake, even if Soft Mochi didn’t originally take the photos.